We cannot shake the effects of the beauty of nature that surrounds us. While humanity is old, some 200,000 years old, the rocks, the hills, the mountains that surround us and shape our environment are much older. The Rocky Mountains, that divide and shape the Western portion of the United States, were pushed from the ground by the movement of plates during the Laramide orogeny, a geological event 80 million years ago. There were no humans to see the mountains rise towards the sky and no one human could have, as the movement took millions of years. It would have taken generation after generation, each passing along the story of the movement of the land, without a break in the sequence, without a single generation disconnecting or moving on. As technology and hubris has developed within our species, we assume an ability to control nature around us. With our machines and engines, we push and tug at the land, we strip back the trees and dirt, we drain lakes and shift rivers, but the land continues to shape us as much as we shape it. We pretend to be god, but there is a limit to our power. Our effects will fade as quickly as they are made, as the Earth will continue to exist - long after humanity has burnt itself out. We will leave scars but the elemental movers of the world - wind, rain, the movement of the plates - will eventually smooth those into oblivion. But in the moment, we can look up to the mountains that stand above us and acknowledge their seeming eternal nature - that uncounted generations have each looked above themselves, into the points that pierce the sky and cut the clouds, and felt their own smallness. And while that feeling may be intimidating for some, it also inspires the soul to create - something lasting, like the mountains above. 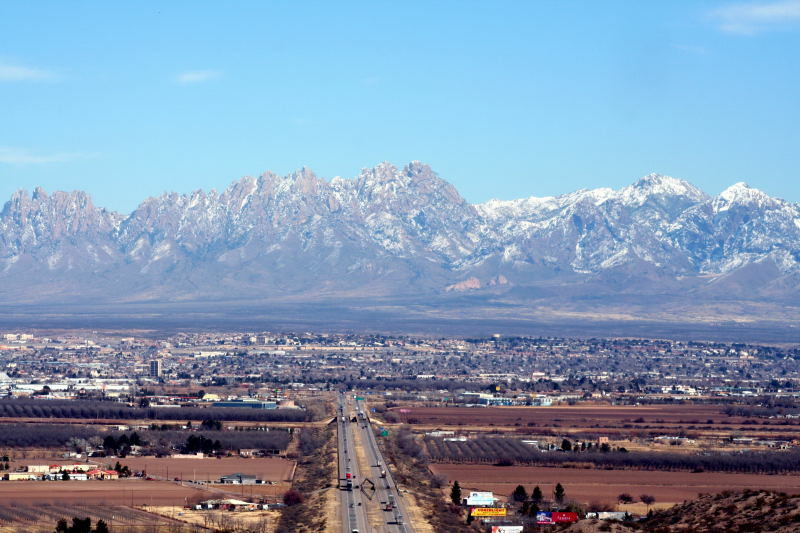 The southern New Mexico town of Las Cruces is dominated by their own mountain range, less famous than the Rockies and slightly younger by 20 million years (but who’s counting) - The Organ Mountains. The range was originally named “Sierra de los Organos” by the Spanish explorers that came through the Southwest hundreds of years ago. Los Organos because the peaks resembled the pipes emerging from the church organs in the cathedrals of Europe. While the town of Las Cruces, NM wasn’t founded until the 1840’s, the area has been inhabited for hundreds of years earlier, first by native people, then by the Spanish. But the town has never been that large, dominated by the popular cities in the northern parts of the state and by El Paso, 45 minutes down I-10 in Texas. So Alexis began hunting for the perfect idea, first working with Icarus on the idea before transitioning to the club’s kit provider, Admiral. 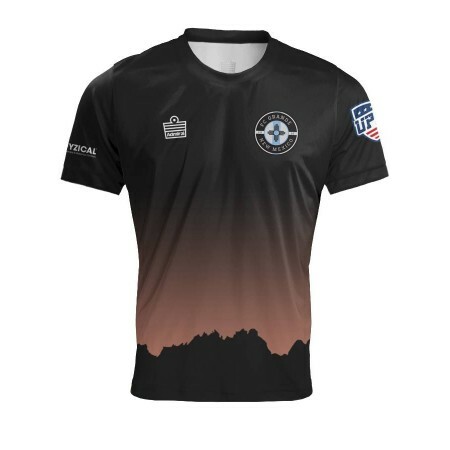 What emerged was a beautiful sublimated kit that shows the outline of the mountains with the light of a rising sun emerging over the edge. The design is original, creative, and entirely representative of the city of Las Cruces and its mountains. Much like the Organ Mountains making an appearance on FC Grande’s kits, the crest was also a Las Cruces inspired work. “What had influenced our crest was the Rio Grande and the Zia Symbol. Robert had a came up with a bunch of designs and we started breaking the design down one by one. When he had sent me the design of the Rio Grande running through the center of the crest, I knew that was the one. He had added the Zia Symbol on top of it and from there we decided the colors.” For those unfamiliar with the Zia Symbol, it is an ancient symbol used by the Zia Pueblo people, an ancient civilization that lived around modern day Albuquerque. The number four was a sacred number for the tribe and the four crisscrossing lines represented, among other things, the fours seasons. The image is often referred to as “the Zia Sun Sign” due to its shape. It is on the New Mexico flag and ties the state to its native roots. Those roots are vital to Alexis and FC Grande and he has made an effort to tie his club to them. One more item of interest for existing fans of the club’s original kits. The baby blue kits of their first season aren’t being discarded, but will be the home option for club. The grey kit will become the club’s alternative. Pablo Rodriguez brings the ball up the pitch, wearing the home kit from 2018. 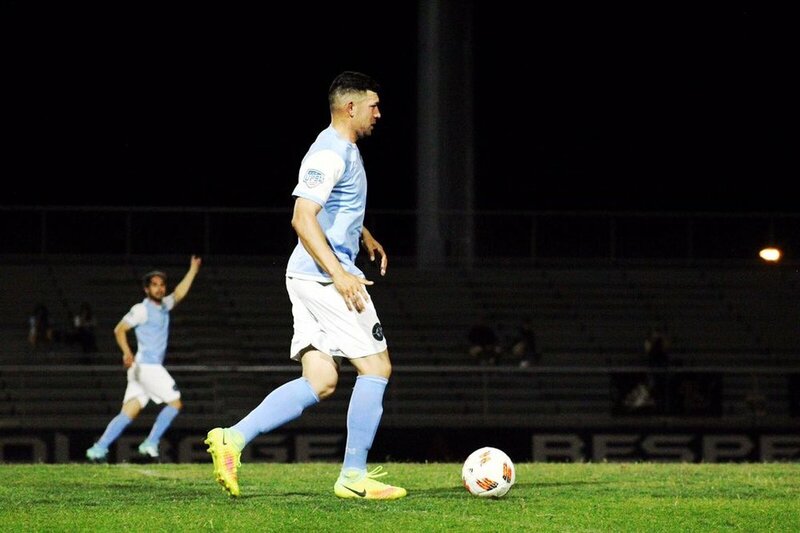 FC Grande has set lofty goals for their upcoming UPSL season. “Our goals for 2019 spring season are to build a bigger fan base, win the Southwest Conference and qualify for the US Open. Last year we were almost there but fell short to a strong Sporting AZ FC side. We've been training since December and feel we have a strong group. We have some returning players and some new players. Overall the men have been working hard on and off the pitch.” With a schedule that features multiple back-to-back matches, having a strong, fit squad will be important if they hope to achieve their goals. FC Grande’s new mountain kit does everything that Alexis wants for his club. It ties the club to the city he loves, in a way that is unmistakeable and obvious. As he strains to build something lasting in his hometown, his club will wear the eternal geography that has shaped the city and state he loves.